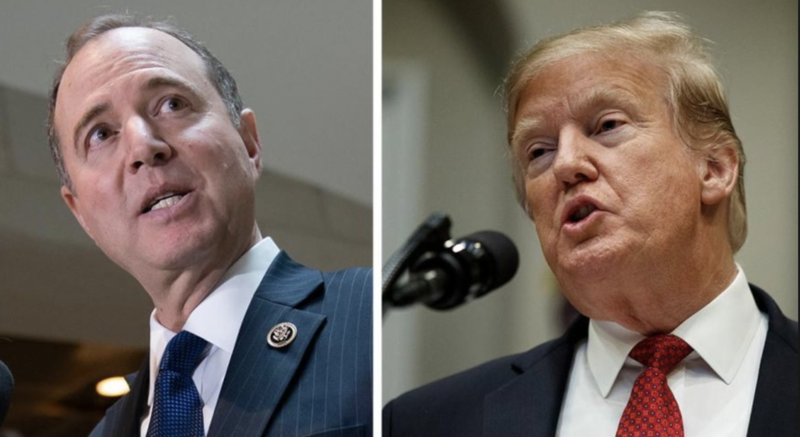 In the latest annoyance for President Trump as Adam "showboat" Schiff ramps up his Intelligence Committee investigations into whether foreign governments (Russia) exerted improper influence on the president, as well any financial conflicts and, we imagine, every other thread the California Congressman can think to pursue, Bloomberg and CNN reported on Thursday that Schiff and his investigators on the House Intelligence Committee have been hiring former staff members at the National Security Council, enraging the president in the process. But these aren't just any staffers. According to the reports, the people who have been hired to work on the Democrat-led investigation are all part of a group of Obama administration holdovers who are believed to have been part of a "deep state" cabal that sought to undermine Trump with a flurry of embarrassing leaks during the early days of his administration. So far, the only confirmed hire is Abigail Grace, an Asia expert who served on the NSC during the tail end of the Obama Administration and only left last year. Another former NSC employee is considering joining the Committee, per BBG. Schiff has hired one former career official at the National Security Council, Abigail Grace, who left the White House last year. She has a congressional email address and is listed in a directory as working for the Intelligence Committee’s Democratic majority. Grace didn’t respond to an email requesting comment and her duties under Schiff aren’t known. But the California Democrat’s attempts to hire people with experience working under Trump have led to speculation among Trump’s aides and allies that Schiff is looking for insider knowledge of the White House as he probes whether the business dealings of the president and his family have made them vulnerable to espionage. While none of the employees were hired directly from the NSC, that didn't stop Trump from fuming about Schiff's "raid" on White House staff during a flurry of tweets this morning. By hiring these former employees, Schiff is helping to confirm what Trump and many close to him long feared: That the Obama holdovers have been deliberately trying to sabotage his administration. Holdover White House staff from the Obama administration, particularly those working on the National Security Council, have long been a concern of some Trump aides and supporters. They’ve coined the term “Deep State” to describe what they suspect to be a large faction of government employees opposed to the president’s agenda. Schiff's office declined to comment on the new hires and interviewees, but the Congressman defended his actions by saying it's standard practice for the intelligence committee to hire out of the intelligence community, and sought to portray the hires as just another example of Washington's "revolving door", according to CNN. A House Intelligence Committee aide responded, telling CNN the panel has hired individuals with experience on the NSC staff and that it would not discriminate about hiring individuals from the current administration. An aide to Schiff clarified that no one has been hired directly from the White House. The reason for concern is obvious: Trump is worried that these Washington hacks, angry with the president for booting them out of the West Wing, might try to exact their revenge on the president by revealing damaging information during the investigation - that is, if they have anything to share that hasn't already been leaked. And for any members of the Trump administration who sympathize with the anonymous saboteur who published that infamous op-ed in the NYT, they might finally have an opportunity to do more damage on the outside than from within.